AUSTRALIAN shoppers are flocking back to traditional bricks-and-mortar stores compared to online, but retailers are failing to capitalise on this resurgence, the latest research shows. 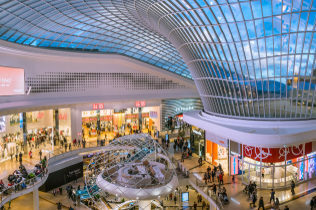 The Monash University data shows 65 per cent of shoppers prefer using bricks-and-mortar stores most of the time, compared to 18 per cent of Australians preferring to shop online. Despite this renewed attraction to traditional shopping methods, the managing director of the Monash Business School’s Australian Consumer, Retail and Services (ACRS) says Australian retailers are not maximising their in-store experience. “We see trends overseas with empathic, human-centred design and advanced technologies that make shopping easier and/or more pleasurable, however in datis piled high to the ceiling, merchandise is displayed poorly, and finding personalised customer service can be difficult,” Dr Rebecca Dare said. Trends from the research unit’s quarterly survey show Australians are shopping more frequently in 2018 than they were in 2016, but bucking the general theories, ACRS research shows that Australian shoppers are increasingly drawn to physical stores, not online channels, to make non-grocery purchases. “We are also seeing similar trends overseas. Nearly 80 per cent of shoppers in the USA purchased more than half of their items in-store in 2017,” Dr Dare said. Dr Dare said there are numerous best-practice examples of overseas brands and physical stores winning on customer experience. IKEA in the UK are discounting umbrellas on rainy days which communicates a human understanding, while providing a solution to an everyday problem. Also, Nike in the USA is using technology-enabled personalisation through the Nike Maker’s Experience, which allows shoppers to design their own custom shoes in-store. Dr Dare said that such notable examples are sparse in the Australian retail landscape and Australian retailers need to become better equipped to take advantage of the shift back to bricks-and-mortar. “There is a return to the importance of customer experience at physical stores. Human touches and the sensory experiences of a store visit is increasingly important, particularly with millennials – who prefer to spend more money on experiences than on material things,” Dr Dare said.